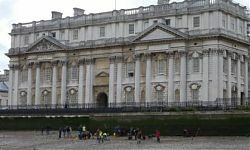 TDP has had a busy couple of days in Greenwich over the Bank Holiday weekend. 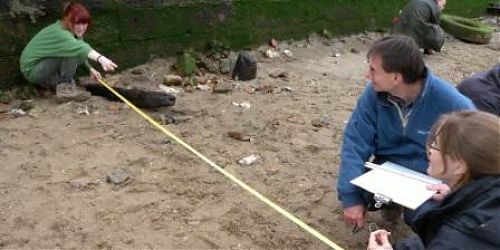 This site was recorded in detail by the Thames Archaeological Survey and an article published by Gustav Milne in 1996 described the remains of a Tudor jetty discovered on the site. The TDP first re-visited this site in June 2009 with a guided tour for FROG members, and it was immediately apparent that there had been a lot of erosion across the site, revealing a range of new archaeological features and structures. Possibly the most exciting new discovery made during the current phase of fieldwork are a number of timber baseplates and piles, in the area of the previously recorded jetty. 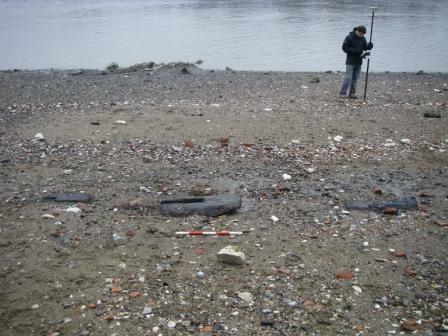 At the time of writing it is unclear exactly what these timbers could be- there may be a number of different phases of construction represented – and they may relate a jetty associated with the Tudor palace at Greenwich, or possibly to a late 15th century friary near the site. What is clear is that deposits of Tudor ceramics and other artefacts are eroding out nearby, confirming activity in the area during the early post-medieval period. We have been working with Museum of London Archaeology’s Geomatics team to survey the site and also to establish baselines for the FROG training. 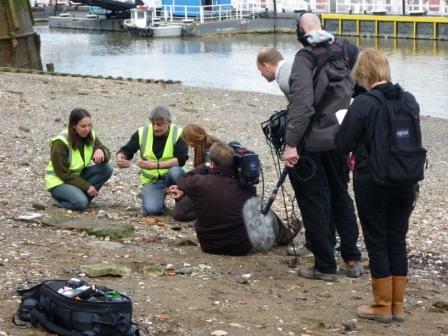 On Friday 30 April, we were joined by Dr Alice Roberts and the film crew from 360 Productions, who are filming a new programme for the BBC – ‘Digging for Britain’. We were able to talk to them about the TDP work at the site and they also interviewed Graham Kenlin, from the Museum of London’s Finds Department, who talked about the amazing range of artefacts to be found on the site. 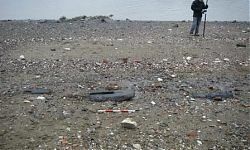 On Saturday 1 May, the good weather held for us and around 30 students from University College London and Birkbeck University London completed their second day of FROG training at the site – recording the remains of the jetty, after a site tour of the whole zone. 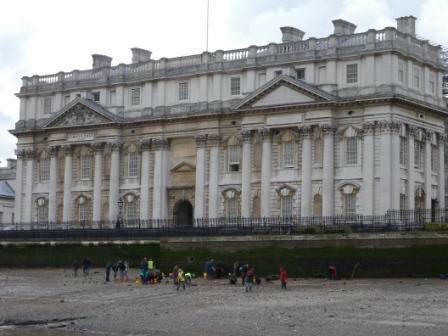 This was the first session on site for the UniFROG team, and we’re looking forward to going back to Greenwich again in August during our Summer Season – it’s an incredible site and there are new things to be discovered every time we visit. It’s so dynamic that parts of the newly discovered jetty are already ‘on the move’, which has meant that we were able to take a sample for dendrochronological dating, with many thanks to Nicholas Wood – who rescued a piece of the structure that was floating away!